This was the most difficult mod I originally did. It has taken a while but I've finally converted it over to DLC format. You KNOW you want to know what's behind the mask. You want to know that it isn't a Lovecraftian fish or frog faced horror in there, or an insectoid, mandibled monster (especially if you romanced her). Wonder no more. 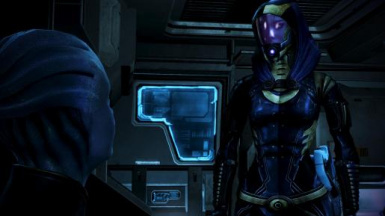 She has a nice face, not a retch- or nightmare-inducing face. In short, she's puuurdy. Someone you could take home to meet the parents. 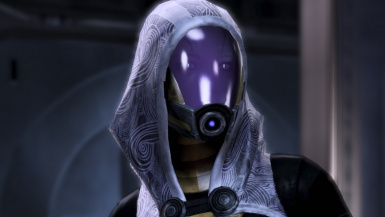 This mod gives Tali a fully functional face and makes minor tweaks to her body (slightly larger breasts, smoothing out some oddities in her original mesh) as well as reduces the opacity of her visor to make her face visible enough to make it out. Her eyes are new and should have a small, subtle glow to them - basically she has cat-like eyes with vertical pupils. The pupils should glow. Note: opacity change has some unpredictable results sometimes. 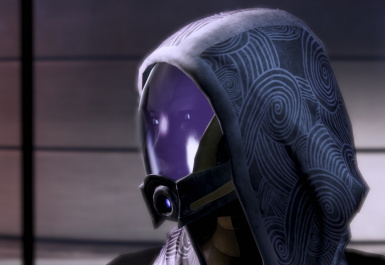 The 84% opacity for Tali in her default uniform is sometimes just right, in other lighting situations it seems clearer, however, but the opacity is still 84%. Same with the alternate uniform. Just a part of how the game engine behaves. At some point soonish I may try adding a bit more texture to her face. 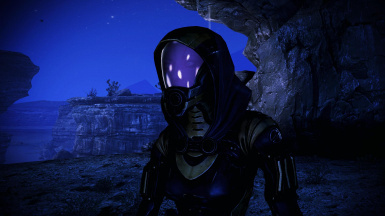 Something or other that wont ugly her up but may make her a bit more exotic. The issue is that with limited opacity reduction. To see a subtle texture alteration to her face would require more reduction of opacity to see but drastic changes that may be visible through the limited opacity reduction would likely ugly her up. I don't want to totally bork her pretty factor OR reduce the opacity too much. 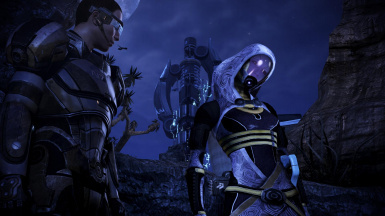 Though this mod worked fine (as a *.mod) on my system, it is with some trepidation I release it as DLC. The reason is I haven't been able to test it in this form beyond making sure it passes DLC status check (don't have a handy save game on hand as yet). It SHOULD work fine because the models and textures have worked perfectly in the past when it was a *.mod file. 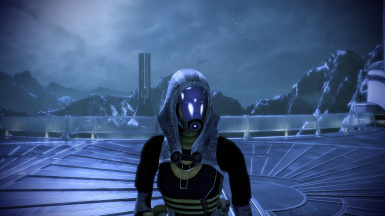 The only texture that is currently untested by me in any form is the Tali Tux uniform worn if she is your "date" in the Casino of the Citadel. 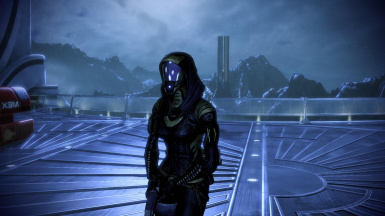 My Shepard never had her as his date to check but it SHOULD work. The main issue may be the SPEC file which is brand new and altered a bit to make her eye-slits glow a little...in theory.